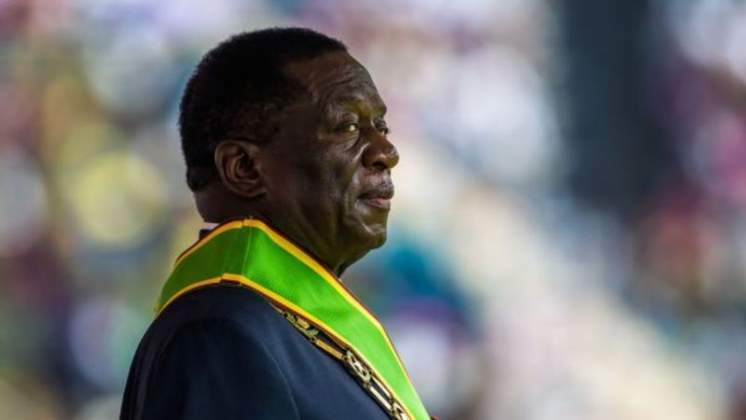 Veterans of the country's liberation struggle last Saturday met with President Emmerson Mnangagwa and demanded that he fires Zanu-PF's secretary for administration Obert Mpofu who they allege faces a litany of corruption charges. War veterans' chairpersons drawn from the country's 10 provinces petitioned Mnangagwa in this regard, demanding the removal of Mpofu and several Zanu-PF top ranking officials. The move by war veterans to confront Mnangagwa comes as the political future of the former Cabinet ministers who were recently re-assigned to the ruling Zanu-PF headquarters is now hanging by the thread amid a flurry of accusations from the influential group. The visit to Mnangagwa's offices follows previous efforts to kick out the party heavyweights from the Zanu-PF headquarters including a bold move to lock the under siege "chefs" out of their offices. Last week, the war veterans told the Daily News they would visit Mnangagwa so as to alert him of a sinister plot by the former high-ranking Zanu-PF officials to sabotage his reign. The war veterans accuse the under-fire party bigwigs - who include Mpofu and fellow politburo members David Parirenyatwa, Patrick Chinamasa and Sydney Sekeramayi - of undermining Mnangagwa and of engaging in corrupt activities. "We met with the president, all the war veterans' provincial chairpersons attended the meeting including our spokesperson Douglas Mahiya, who was the most senior member. "We gave the president that petition asking him to relieve people like Mpofu of their duties and he listened to our grievances and promised to look into them," a war veteran who attended the meeting told the Daily News. Zimbabwe National Liberation War Veterans Association (ZNLWVA) secretary-general Victor Matemadanda, who is also deputy minister of Defence confirmed to this publication that his troops met with Mnangagwa. "Yes, the war veterans met with the president. However, I was not in the meeting and you can get finer details from our spokesperson (Douglas) Mahiya," said Matemadanda. Contacted for comment, Mahiya said he was in a meeting and promised to call back. "We also spoke about the party's relationship with war veterans, and those who were not keen on our petition were forced to eat humble pie because the president made it clear that the issue was of importance. "We were happy with the way the president handled the issue and we believe he will listen to our petition which we believe could save the party from further damage," the insider told the Daily News. Mnangagwa re-assigned the heavyweights to the party's headquarters in a bid to breathe new life in government while also strengthening the former liberation movement's administration. The idea was apparently to emulate the Chinese Community Party's model, which has also been adopted by South Africa's African National Congress. But in an unsettling move that has caused panic in the high corridors of power - the war veterans are now demanding that Mnangagwa surrounds himself with new brooms and discard the old guard who they accuse of dabbling in corruption and also plotting the downfall of the Zanu-PF leader. "Consequently, in pursuit of our constitutional mandate as custodians of the Zimbabwean people's revolution, as patriots, loyal and stockholders of Zanu-PF, we demand, as we hereby do, through the copy of this petition, that the ... members relinquish their posts and vacate offices at the Zanu-PF headquarters with immediate effect. "Failure to do so, we - as veterans of the liberation struggle - shall force them out of the offices for the good of the people's revolution," the former freedom fighters said in their petition.